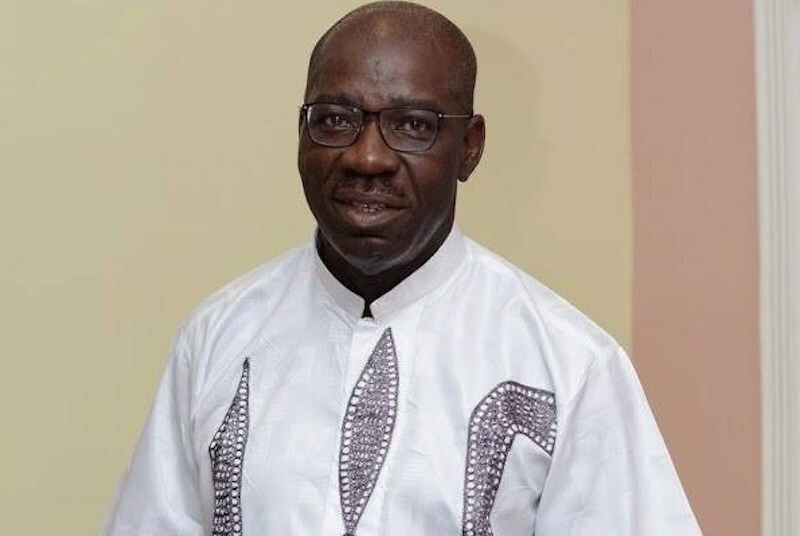 *To call on Governor Godwin Obaseki of Edo State to run for a second term and adopt him as the sole candidate for the 2020 governorship election in the state. *That since the reward of hard work is more work, the governor should heed their call to take the responsibility of governing the state for the next four years beginning from 2020; among others. The resolution read in part, “We leaders of Oredo resolved to congratulate our National Chairman and Leader, Comrade Adams Aliu Oshiomhole on his effective leadership and victory at the presidential election and to pass a vote of implicit confidence on his leadership. “Considering the pace of development in different sectors of Edo State from infrastructure to education, industrialisation, civil service and judicial reforms, enterprise development, prompt payment to pensioners and civil servants, among other, we are convinced beyond doubt that the only way to sustain the current rapid growth trajectory is to ensure that Governor Obaseki continues as governor of the state after the expiration of his first four-year tenure. “We therefore with full sense of responsibility, call on him to run for second term and hereby adopt Governor Godwin Obaseki as the sole candidate for the 2020 governorship election in the state. “The governor has made us proud as Edo people. At the moment, among states in the federation, Edo State stands out in all development spheres, heads and shoulders above state that are far more privileged than us in terms of federal allocation and Internally Generated Revenue (IGR). “As the saying goes, the reward for hard work is more work and we therefore, urge Governor Obaseki to heed our call to take on the responsibility of governing the state for another four years, beginning from 2020. To achieve this purpose, the LG executives have started the process of blocking others who may nurse similar ambition through Ward 2 executives of the local government with the purported suspension of Major General Charles Airhiavbere (rtd.) over alleged anti-party activities during the presidential and National Assembly elections. The endorsement or otherwise has elicited reactions. First to respond is Senator Domingo Obende who represented Edo North between 2011 and 2015. Obende urged the party in the state to ensure Obaseki gets a second term to enable him complete the work he has started. He said Obaseki has demonstrated the positive sides of continuity as he has been able to take the state successfully from where the National Chairman of the APC, Comrade Adams Oshiomhole left it to a new level. “Without any reservations, I am personally endorsing Governor Godwin Obaseki (GGO) for a second term in office and would appreciate if all necessary synergy is put in place to actualize this God-given development opportunities for Edo State in order to move on to the next level of value,” Obende declared. 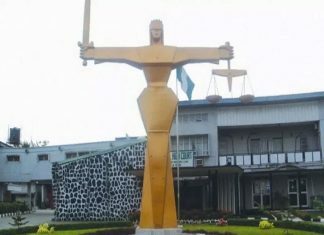 The drama of endorsement may be a smokescreen to divert attention and postpone the evil days that may befall some party chieftains particularly those of Oredo Council of APC, identified to have played a spoiler role in the presidential and National Assembly elections in order to enrich themselves. A move that later brought shame to the governor and the state. Prior to the election, a source close to the party disclosed that two prominent members of the party; a political appointee of the governor, and the other, a highly placed member of APC executive in the state who were saddled with the responsibility of prosecuting the election in the LG by virtue of their positions as high ranking political figures. Besides, owing to his position as governor of the state, it will be wrong to see Obaseki at polling units, and so he had to entrust the execution of the election in their care. 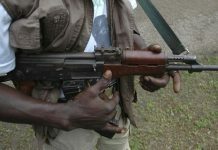 To ensure nothing goes wrong, the governor was believed to have provided all the funds needed including logistics to procure generators to power collation centres since counting of results usually continues into the late hours of the night, in order to prevent disruption from the epileptic power supply being experienced in the state. “Rather than utilising the monies for the purpose, the two leaders kept half the money they were giving for the election to themselves. More annoying was the fact that at every gate, the money kept depreciating. A source close to the party hierarchy in the state revealed that even the generators they were asked to buy could not be accounted for. 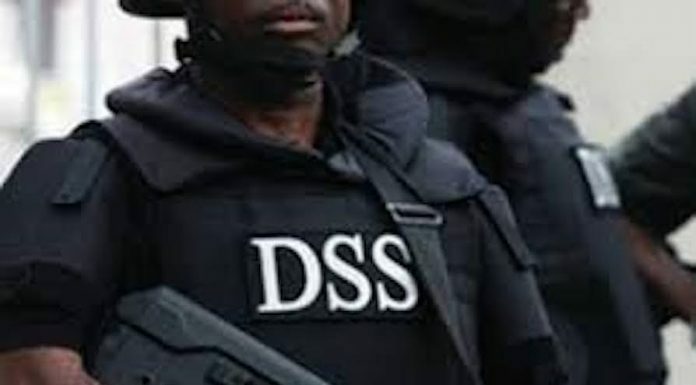 He said, “Based on this failure, the governor had to avoid the two leaders in the disbursement of funds during the March 9 state assembly election which at the end, the party won all the 24 constituency seats. 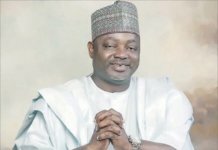 Comparing the two (presidential/national assembly and state assembly) polls result, the governor needed no soothsayer to tell him something went wrong in the first election and decided to dig deep. Obaseki set-up a 24-man committee to probe what actually happened that led to APC’s failure in that election particularly, Oredo local government council where he comes from. Upon investigation, the committee uncovered financial misappropriation by the two leaders. 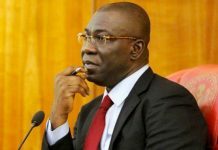 It was revealed that only a tiny bit of the funds assigned to them, which run into several millions of Naira, were not spent on the assignment on Election Day. To ensure that it had not embarked on a witch-hunt mission, the committee is said to have called party collation officers, agents and others who were in the field during the election to find out the exact amount they got. Further revelation from the field officers also showed that no generator was bought. 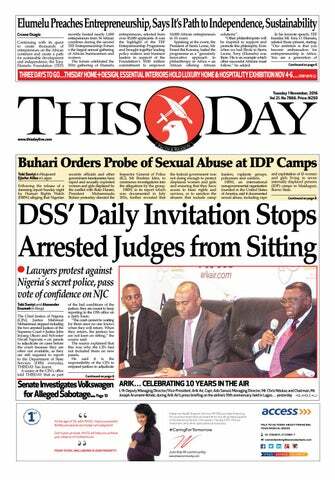 Angered by this development, Obaseki, wass said to have asked the committee to tidy up its report for submission when he resume from his four-week vacation. Having learnt of the ugly fate that awaits them should the governor decide to carry out the sanction recommended by the committee, the two leaders, decided to play a fast one by gathering all the 12 ward executives to a meeting whose agenda was to discuss the suspension of Major General Charles Airhiavbere (rtd) by his ward. To back up their plot, the duo decided to draft a statement that the entire local government has endorsed Obaseki for a second term forcing the LGA chairman and secretary of the party, Mr. Godwin Alabi and Mrs. Magdalene Isekhure respectively to append their signatures in order to authenticate it. After the endorsement, however, a crack appeared within the ranks of the party as one of the party ward leaders raised an alarm, noting that endorsement of Obaseki was not on the agenda of the meeting they held on Sunday, March 31. The party executive who did not want his name mentioned said it was an embarrassment to him and others to see their names among those that signed the endorsement. He said, “The issue of endorsing Obaseki for a second term was not on the agenda and when it was raised, nobody seconded the motion. I am surprised at what I saw. The so-called names they attached to the adoption letter is the attendance list in the meeting and not those who purportedly endorsed the second term agenda. “The major agenda for discussion at that meeting was the controversy that followed the recent suspension of Major General Charles Airhiavbere,” the Oredo APC ward leader stated.